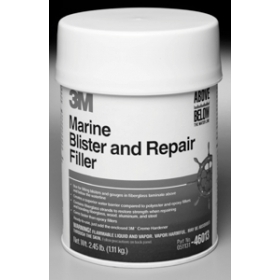 A two-component vinyl-ester filler formulated with short strand fiberglass for blister and other semistructural repairs. 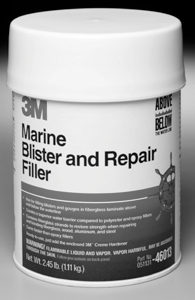 This high performance reinforced filler is designed to reduce water transmission and absorption into repaired areas, reducing the possibility of future osmotic blister damage. Hardener included. "You had the best price for what I wanted, you had it in stock, and shipping was very fast." "Very pleased with the service, quick service, great product, great company to deal with." "I shopped around and they had the best price and fast delivery. I got my order for the bimini top..."
"Best price, in stock, and timely delivery"